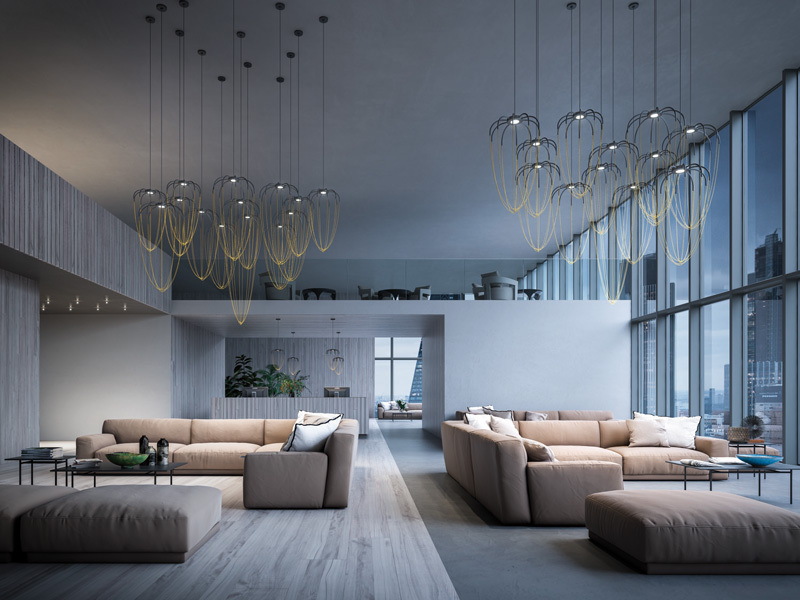 Alysoid is a collection of aluminium hand crafted suspension lamps characterised by precious, draped chains that define the diffuser. The design and the name of Alysoid take their inspiration from the world of geometry and architecture. In geometry, the alysoid, also known as “catenary arch”, is the curve formed by a flexible chain suspended from its endpoints. This unique curve has been used by many famous architects such as Spanish Antoni Gaudi, who described the catenary arch as “the most beautiful shape in nature”, or Japanese Kuroemon Kodama, who designed the famous Kintai bridge back in 1673. 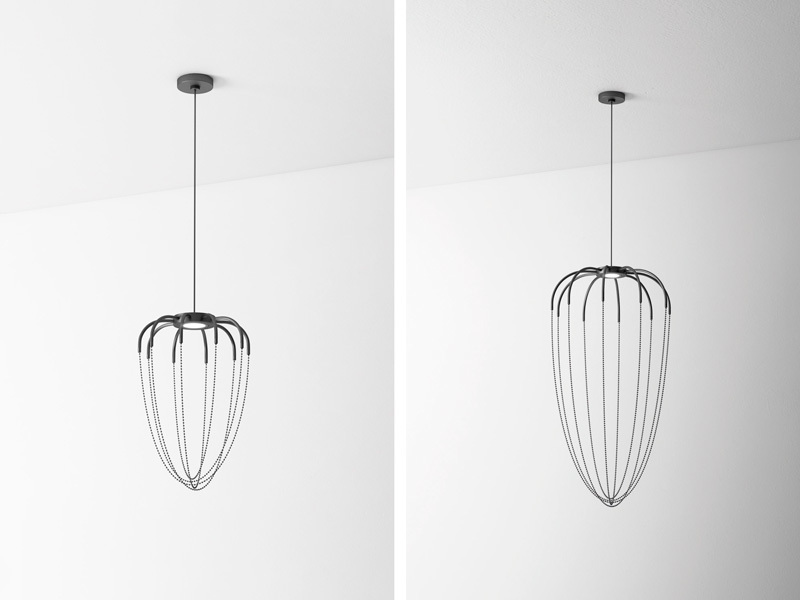 The same captivating technique is used to create the Alysoid suspension lamp: by simply hanging a chain from two sides of the lamp, a pure and natural shape is created. 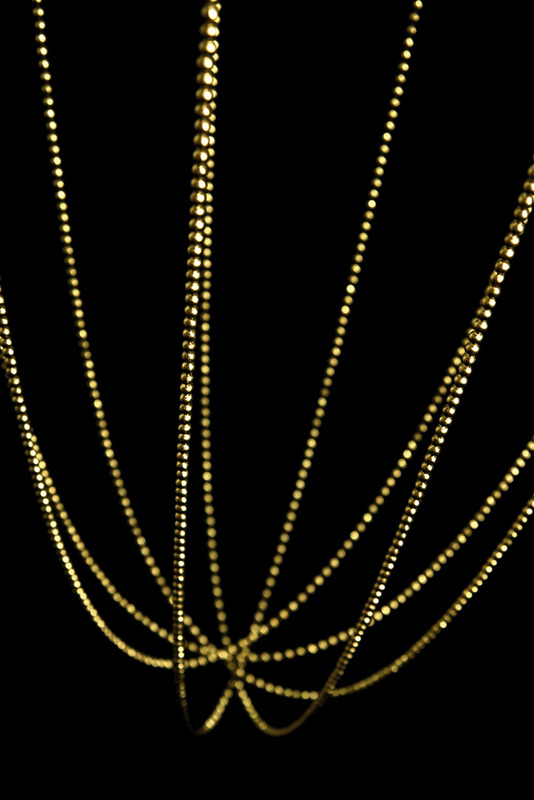 This effect is multiplied in the Alysoid lamp as many delicate chains are used to create an organic shape. 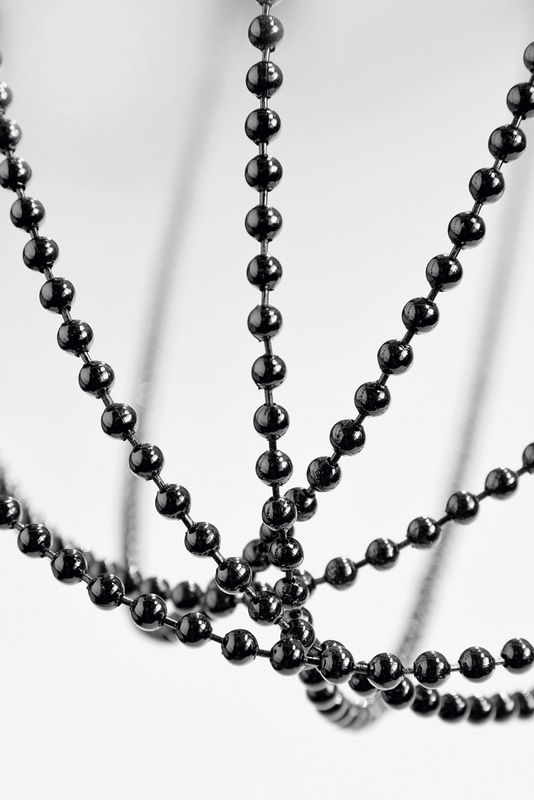 Not to mention the individual beauty of each component: chains made of small spheres like those often used to make fashion accessories and jewellery. These help to create a charming atmosphere when the light touches them, highlighting the diffuser’s incredibly attractive natural curves. The final result is real and tangible and, at the same time, it is made just of air and light. The volume of the lamp fills the room without blocking the view, allowing you to see through the object: the lamp therefore becomes an important tool for any designer who wishes to define a room. Alysoid has a simple aluminium structure with high performance LED lights in the centre. 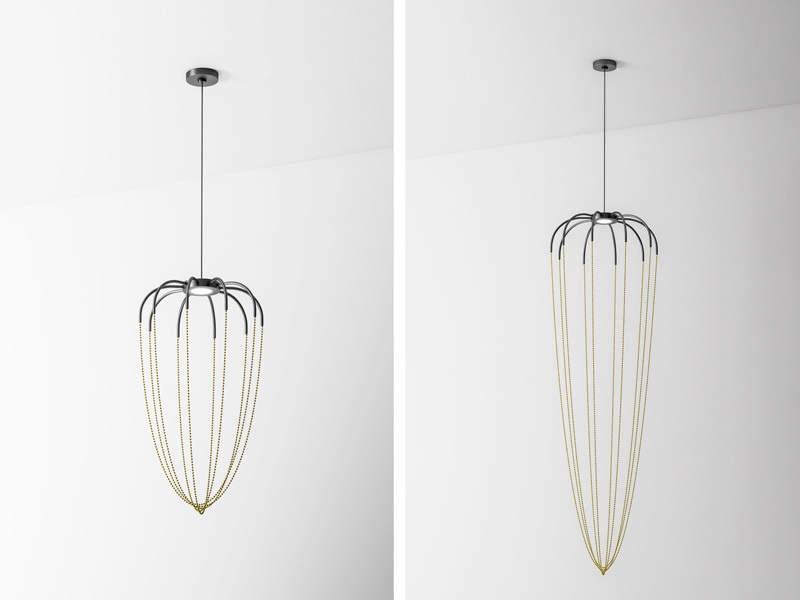 The frame is available in anthracite grey finish and the chains either in a glossy black nickel or in natural brass finish. 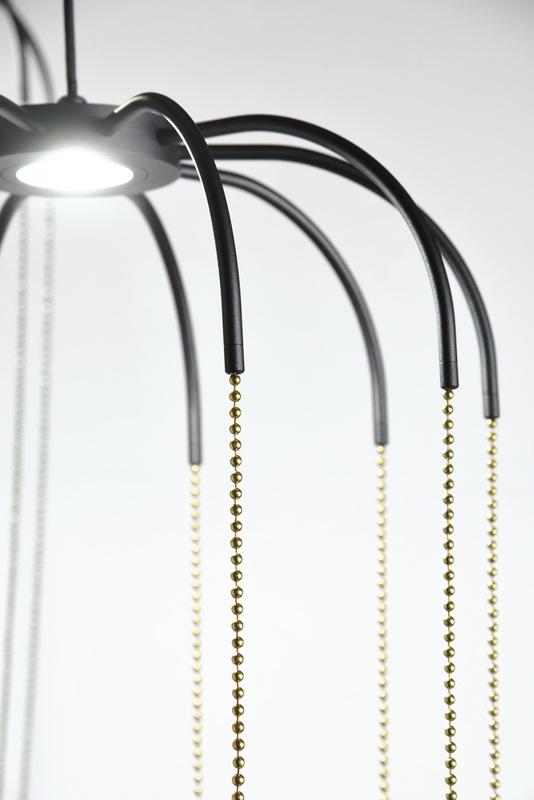 This collection of suspension lamps is made up of four different sizes. This lamp can be used either alone or as part of a composition to create a symphonic combination of shapes, function and light.